They say that the South African Sardine Run is such a massive event that it can be viewed from space. Well, while at the Sardine Run this year, I pointed my camera in the other direction. Apparently the sky is also so clear that you can see space from the Sardine Run! WoW! 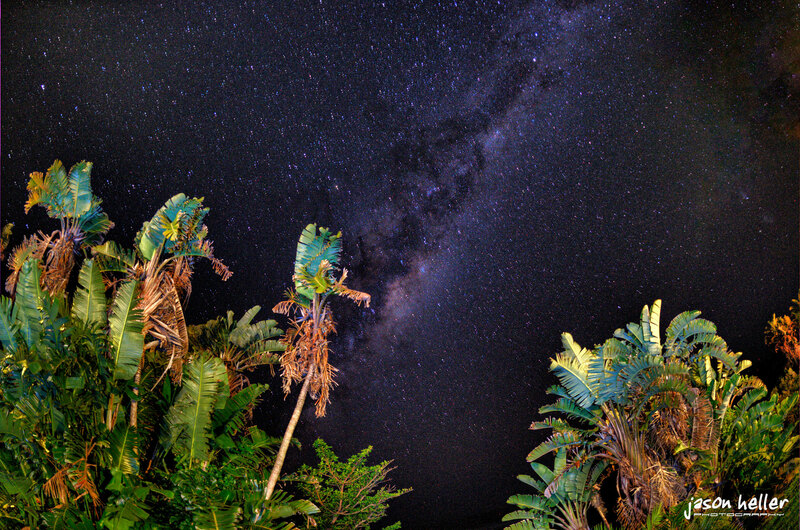 Nice you can almost reach out and touch the Milky Way! Love the trees on the foreground and how the sky contrast with them and the light. Good stuff! Jason, great photos of the sardine run. We are booking for next year. Who did you dive and stay with whilst you are there? We have heard rumours that the sardines are fished out and may not appear! What was your overall impression of the sardines that turned up. Impressive or a bit lacking. Thanks Jen. I will have to follow your great underwater photography. Thanks for the kind words. Actually, I lead several underwater photography trips including two weeks at the Sardine Run each year. We still have a few spots left for our 2011 Sardine Run trip. Come join us.